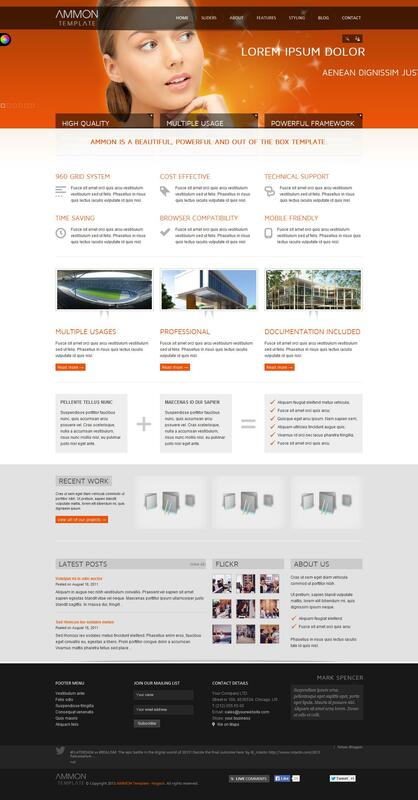 TF Ammon - a powerful and professional template from the popular studio ThemeForest. This template is powered by Gantry Framework, which gives a fast download speed pattern, compatible with all browsers. The template has an unlimited number of color combinations of background and layout, 70 module positions, 12 different sliders, mobile version for the iPhone and Android. Built-in support for additional extensions can significantly extend the capabilities template for displaying information on the site. Flexible modular design contains more than 50 positions for optimum placement of all the elements on the site. TF Ammon - a great choice for creating stylish and modern sites.